Gold. It’s easily the metal most associated with wealth. And while it’s not the most rare metal, it is still the standard of material wealth and the most liquid commodity on earth. It’s history: Gold was probably the first metal that humanity started using. It would certainly stand out in the rocks, and although it has a relatively high melting point it could be taken from the rocks because of its soft nature. It’s been used for at least 5,000 years. Because civilizations over the centuries noted how rare and malleable it was, it became the currency standard for trading. 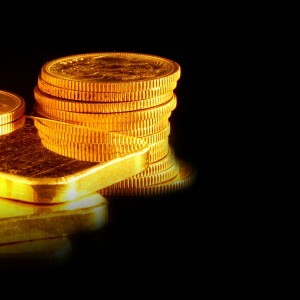 Entire countries based their currency on gold, thus creating the idea of the gold standard. This helped countries trade because there was now something that everyone agreed had an equal value. Of course, it also lead to wars and colonialism. Jewelry: Here’s a great reason to invest in gold. Two-thirds of gold is used in the jewelry-making industry. That’s probably not a surprise, but take a look at the countries who are buying it…India and China are the two largest users of gold. That’s 2.5 billion people in emerging economies who are buying gold…and they’re buying that much now even though they’re considered poor countries. As they get richer and richer, there’s a good chance they’re going to drive the price of gold up and up. Industrial applications: Gold is an excellent conductor and doesn’t corrode, so it’s often used as a plating on the connectors or wires and cables. As long as computers are around, gold will be in demand. Gold has a great number of uses and an amazing history. Investing in physical specimens with a gold-backed IRA is an easy way for you to diversify your investments. Start you closed-loop IRA here.